Vintage style weddings have been all the rage this summer, and maybe you’ve hosted one yourself or been to several whilst the sun was still shining. 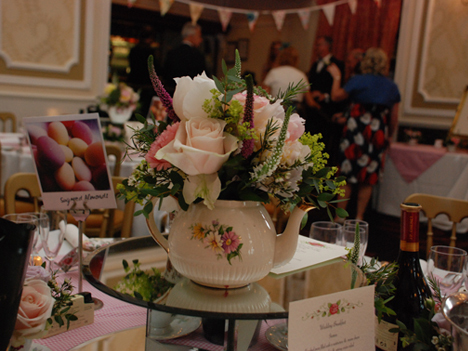 If you’re not quite sure what the vintage theme entails (think teapots and bunting!) then here at Sweetly Seated we are going to help give you more ideas for your wedding day! 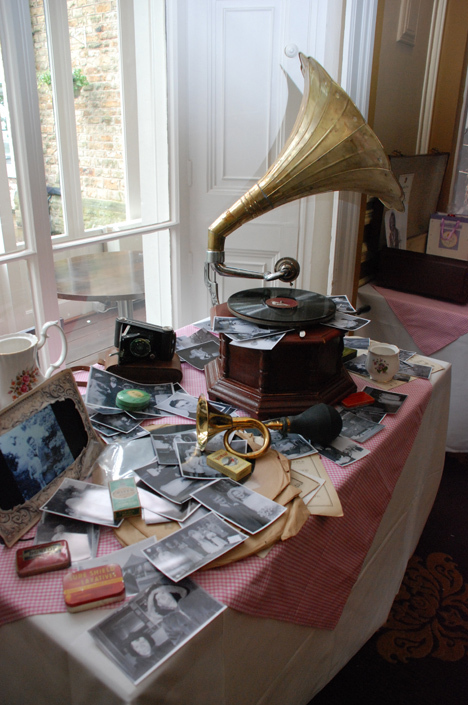 All those old photographs that you and your loved one have been hiding away in shoeboxes…get them out! Pick out your favourites of the two of you, and then its time to go looking further a field…to your parents and grandparents houses! It would be a wonderful touch to include photographs, old and new, of couples from both families. It also means that those who cannot be with us can feature in your special day. You could display them in an old suitcase or simply lay them out on a table. For your centrepiece, using the vintage theme almost anything is possible! You could use metal watering cans, bottles, jars, teapots, and teacups and arrange them with your choice of flowers for the day. Your place settings should tie in with your centrepiece theme. If you decide to use teapots in your centrepiece filled with flowers, why not use the teacups for your place settings and attach nametags with string or little pegs? The great thing about this idea is that your cups don’t even have to match! Sweetly Seated can help you make your day perfect, and our chair cover hire team can dress the chairs and finishing touches to match the style of your day. Whether it is a traditional or contemporary wedding we will make sure your day is beautiful and memorable. We not only provide standard wedding chair covers, but also a wide range of organza sashes and wraps in various shades. Please use the get in touch box to the right to contact us with any questions, and we will be happy to help and advise you on your big day!